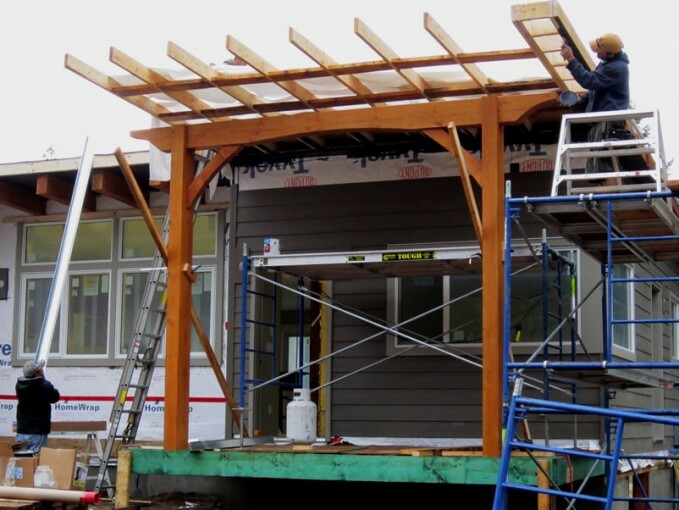 The owners of this new modular home wanted a timber look for their front porch, so they asked me to design and build an accent piece for their porch roof structure. They were really pleased when they saw it go up. It adds a timeless classic element, and the curves cut into the beam and the braces add a softer contrast to the straight lines of the house. Here the modular home installation crew is working on the rafters for the porch. I’ll post a photo once the house is finished so you can see the final look.